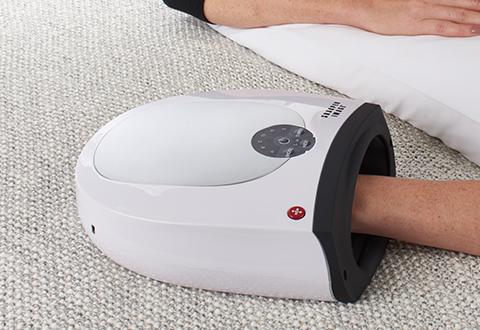 The Total Hand Compression Massager soothes and restores hands like nothing else. 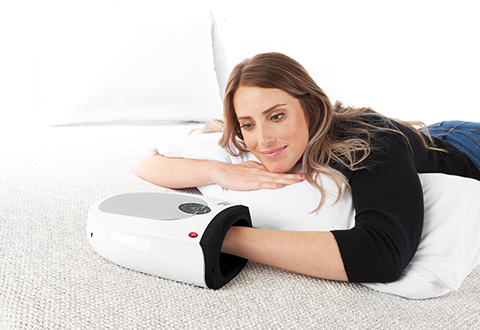 Simply place your entire hand in the soft, cloth-lined chamber and turn it on. Air bladders inflate and deflate to squeeze away aches and stress. 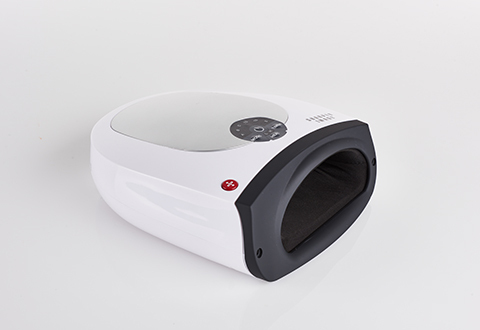 Features two massage modes, adjustable intensity, automatic shutoff timer and optional heat. Fits hands up to 8.5” in length (measure from wrist to tip of middle finger). Plugs into an AC outlet — or for cordless use, insert 4 AA batteries. Suffering from tired, achy hands? 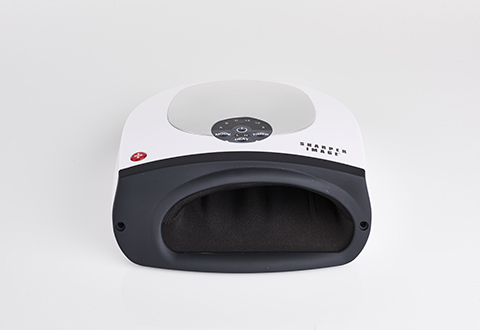 The Total Hand Compression Massager squeezes away the stress and strain of daily life to give you a robust massage experience that's nothing like you've ever tried before! PLEASE NOTE: This is a personal care item and is returnable if in its original unopened packaging and unused condition. 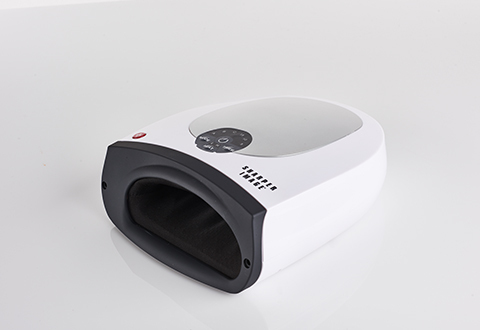 Consult with a physician before using a massaging device. Do not use with sharp fingernails or while wearing sharp jewelry.